Dwell on Design has selected the G-Pod spherical loungers as the best outdoor product at this year's show in Los Angeles. 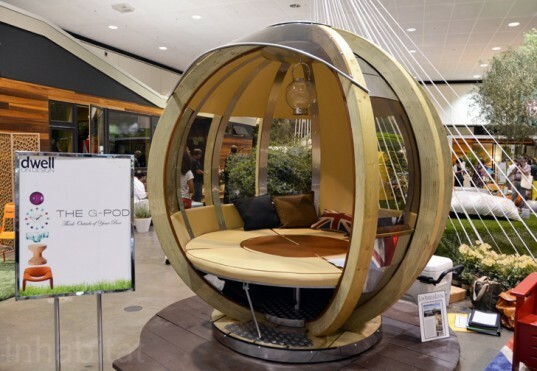 Designed as a comfortable way to spend the day out under the sun, these super-cool circular pods are now officially available for sale in the United States and will be distributed through Mars Lab, located in Redondo Beach, California. The G-Pod comes in three different styles with prices starting from $14,995. Reminiscent of the London Eye the smallest of the three models, the Seater, spins 360 degrees, allowing loungers the freedom to rotate towards their favored view. The mid-size model, the Lounger, also spins, and is meant to hold four to six people comfortably along with a round table in the middle for meals, card games and the like. 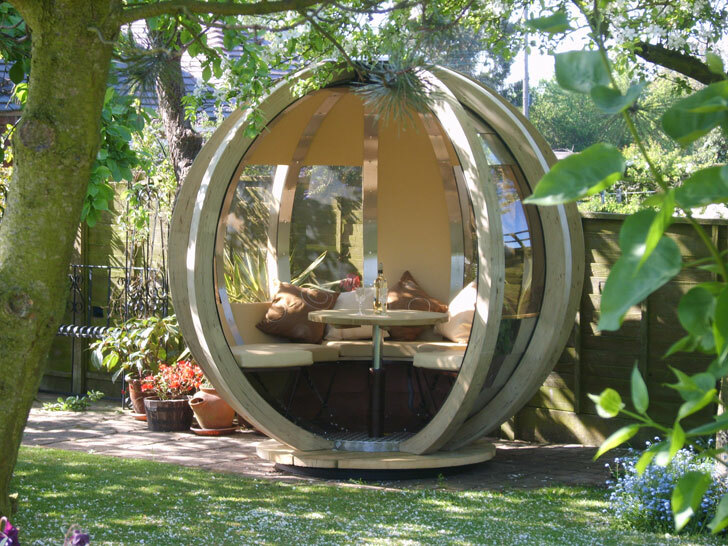 The largest of the three models, the Sumerhouse is a total of 10 feet in diameter, making it an excellent studio or office space for those who prefer to do their work outdoors. Both the Seater and the Lounger models spin 360 degrees. The Lounger offers a place for 4-6 to sit comfortably for a meal or a board game. The sturdy G-Pod can be occupied 365 days a year. The G-Pod includes reflective panels that keep the pod cool in the summer and let the lower sun in during the winter months. G-Pods typically do not need building permits in most states. This also means they can be deconstructed and moved each time the owner decides to change their home address. The G-Pod makes a great place to take in the latest novel or get some work done. G-Pods typically do not need building permits in most states. This also means they can be deconstructed and moved each time the owner decides to change their home address. The G-Pod makes a great place to take in the latest novel or get some work done. Each pod can be powered off the grid with solar panels. The G-Pod stands up to all types of weather, including winter.